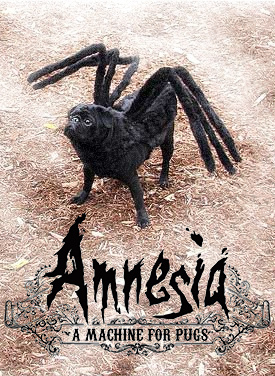 I heard that the sequel to Amnesia: The Dark Descent is out so I had to see what all the hype was about. You guys were right. A Machine for Pugs is way scarier than the previous game and every other horror game in recent memory. I still can't get the image of that monster out of my head and I probably won't sleep for days. For more crappy photoshop, check out Firefly: The Game Collection. The Terrible PC Version of Super Mario Bros.